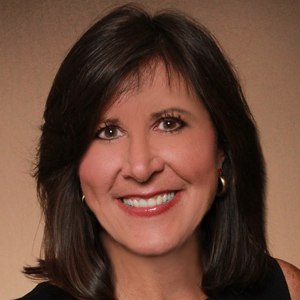 Cindy Zebryk is a REALTOR® and multi-million-dollar producer with Coldwell Banker Reehl Properties, Inc. who brings nearly 30 years of experience to the Eastern Shore markets, focusing primarily in Fairhope and Point Clear. As a native of Fairhope, Ala., Zebryk specializes in luxury properties, beach- and bay-front homes, new construction, condos, land and lots, and relocation. She is charismatic about living and working in her hometown and boasts several achievements, including holding the No. 1 agent spot for Coldwell Banker Reehl Properties over the past several years. "It is such a blessing to be able to go to work each day as a REALTOR® and use my expertise to deliver results to my clients. I take great pride in doing my job with the highest integrity and treating people the way I would expect to be treated." Additionally, Zebryk received the Coldwell Banker International President's Award in 2014 and 2015 and was named in the top 3 percent of CB agents internationally in 2016 and 2017. Zebryk also holds numerous credentials, such as Luxury Property Specialist®, Certified Luxury Home Marketing Specialist™, Million Dollar GUILD™ and Certified Home Marketing Expert, and is also an ambassador for the Eastern Shore Chamber of Commerce, among others. In addition, Zebryk plays an active role in her community. Most recently, Zebryk hosted a Thanksgiving donation drive for Soles4Souls, a non-profit global social enterprise committed to fighting poverty through the collection and distribution of shoes and clothing. "It is such a blessing to be able to go to work each day as a REALTOR® and use my expertise to deliver results to my clients," said Zebryk. "I take great pride in doing my job with the highest integrity and treating people the way I would expect to be treated."